chairman of the RIT Capital Partners PLC, in Beijing, capital of China, July 19, 2011. 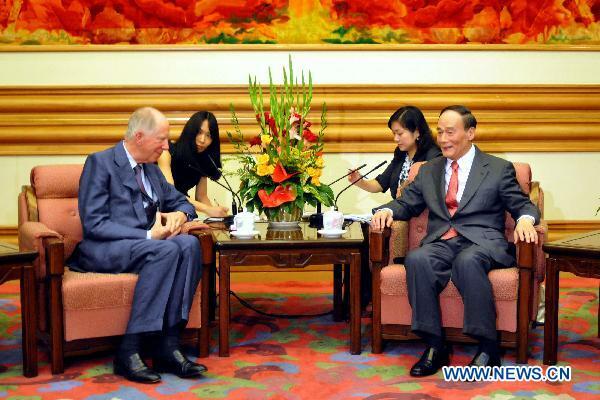 Vice Premier Wang Qishan met with Jacob Rothschild, chairman of the RIT Capital Partners PLC, on Tuesday. They exchanged views on Sino-British economic cooperation and the world economic and financial situation.